Tim Powers Talks Steampunk | Zeno Agency Ltd. 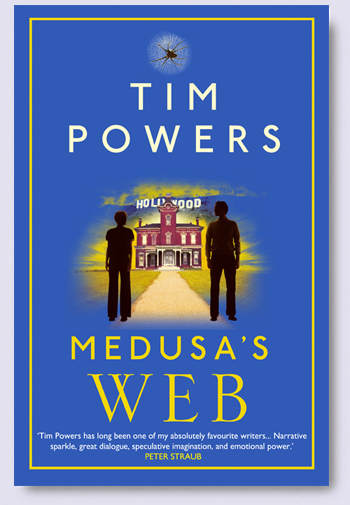 The above clip is a couple of years old, but because we’re starting to think about Tim Powers‘s upcoming new novel — MEDUSA’S WEB — we thought we’d share the video here. In the wake of their Aunt Amity’s suicide, Scott and Madeline Madden are summoned to Caveat, the eerie, decaying mansion in the Hollywood hills in which they were raised. But their decadent and reclusive cousins, the malicious wheelchair-bound Claimayne and his sister, Ariel, do not welcome Scott and Madeline’s return to the childhood home they once shared. While Scott desperately wants to go back to their shabby south of Sunset lives, he cannot pry his sister away from this old house that is a conduit for the supernatural. Decorated by bits salvaged from old hotels and movie sets, Caveat hides a dark family secret that stretches back to the golden days of Rudolph Valentino and the silent film stars. A collection of hypnotic abstract images inked on paper allows the Maddens to briefly fragment and flatten time – to transport themselves into the past and future in visions that are both puzzling and terrifying. As Madeline falls more completely under Caveat’s spell, Scott must fight to protect her. But will he unravel the mystery of the Madden family’s past and finally free them… or be pulled deeper into their deadly web? Corvus publishes five other novels by Tim Powers: ON STRANGER TIDES, THE STRESS OF HER REGARD, THREE DAYS TO NEVER, DECLARE, and HIDE ME AMONG THE GRAVES. 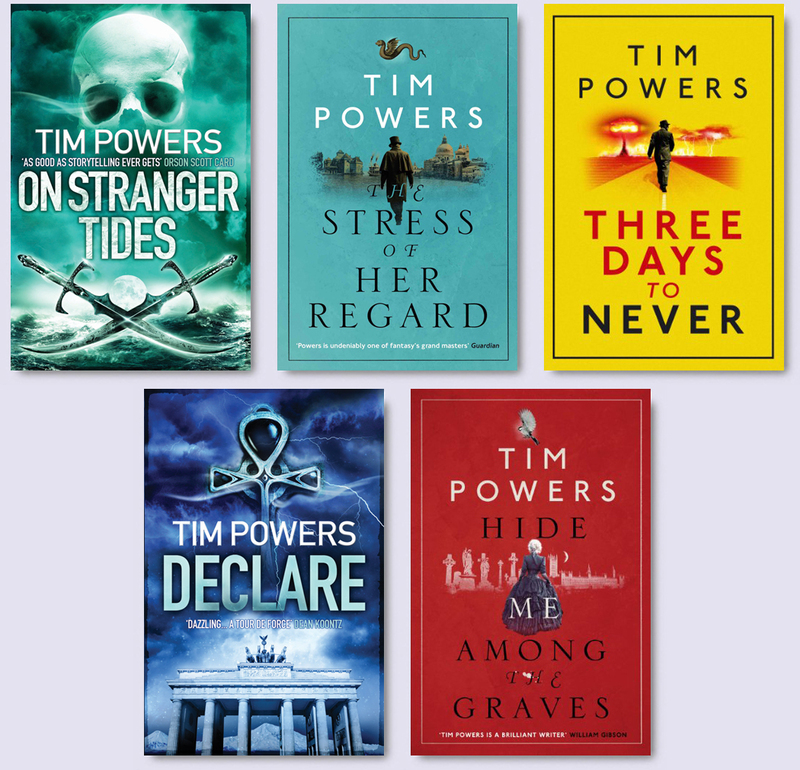 Powers’s Fault Lines trilogy has recently been published in the UK by Gollancz, as part of the Fantasy Masterworks series, and includes: LAST CALL, EXPIRATION DATE, and EARTHQUAKE WEATHER. Zeno represents Tim Powers in the UK, on behalf of Russell Galen at the Scovil Galen Ghosh Literary Agency.